My follow-up blog , “HPV Vaccine Harms Have Japanese Demanding No More HPV Vaccinations,” was published on March 31, 2014. Please see SaneVax’s Press Release regarding that historic event in Japan regarding the HPV vaccines. As a result of the scientific work presented during the Japanese symposium, medical researchers in France apparently think there is enough scientific information to take initiatives to deal with similar problems in French girls receiving HPV vaccines. As Norma Erickson, President of SaneVax says, “The French government is not only listening to vaccine victims, safety advocates and scientists – they are sponsoring open scientific debates. Open scientific debates must occur in every country in the world,” something this writer has been advocating ever since she can remember hearing of vaccine adverse events happening to infants and toddlers back in the mid to late 1980s. In the morning symposium sessions, the First Round Table discussion is “Aluminum: an adjuvant under monitoring” that will include presentations from international researchers. The Second Round Table discussion, “Vaccination against HPV: caution should be exercised” will include Dr. Sin Hang Lee, MD, and Lucija Tomljenovic, PhD, two of the foremost researchers in aluminum in HPV vaccines, plus testimony of the mother of a girl afflicted with MMF after vaccination with the HPV vaccine. More discussions will follow those presentations and that agenda is here. 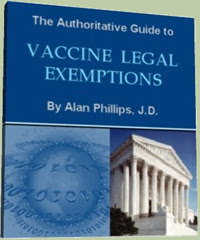 The afternoon round of discussions titled “First Round Table: The Safety and Efficacy of Aluminum Vaccine Adjuvants” ought to prove interesting and certainly contradictory to what’s been known as ‘peer reviewed science’ in mainstream medicine that, basically, is parroting Big Pharma’s favorable information presented to get vaccines approved for licensure. In the Second Round Table in the afternoon, there’s an interesting discussion planned titled “Are there alternative vaccine adjuvants?” That, in this writer’s opinion, is an even more dire topic, since there are numerous adjuvants vaccines are using, including squalene which probably is as harmful as aluminum. The reason for adjuvants in vaccines is that vaccinology can attain what’s referred to as an “antigen response,” which they consider ‘immunity’! Nothing is further from the biological facts as current communicable infectious disease rates are proving, i.e., of those contracting infectious communicable diseases in the USA for which there are vaccines, over 90 percent have been fully vaccinated. Therefore, adjuvants do not provide 100% immunity! The Round Table debates will be open to the public and the press, which certainly is a breath of fresh air, since in the USA there’s so much that goes on behind closed doors regarding vaccines. I can’t wait to give readers an update on the French HPV-vaccine symposium. Be the first to comment on "France Is the Second Country to Declare Scientific War on HPV Vaccines"